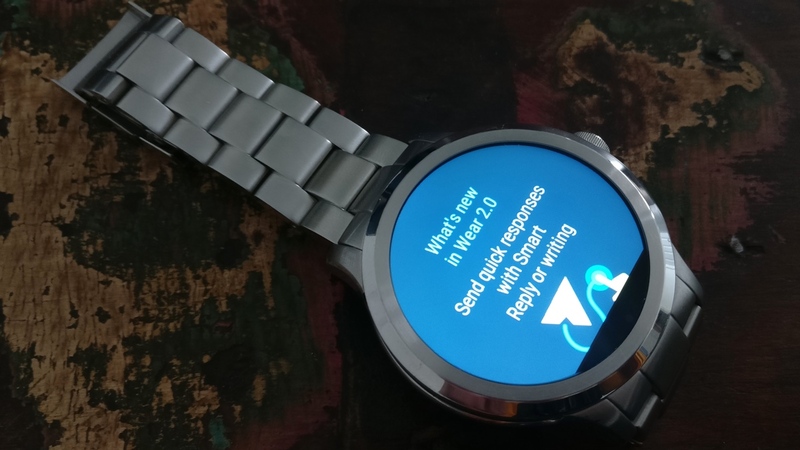 It's safe to say that the Android Wear 2.o update on existing watches program has been somewhat of a hit-and-miss affair... with a lot more miss than hit. Originally scheduled to arrive in the days following the launch of the LG Watch Sport and Style, we're only just starting to see it arrive now. Google admitted to us that a bug in testing caused the delay but the good news is that we're now seeing the light at the end of the delay tunnel. Last week we told you how the rollout had begun for three watches - the Tag Heuer Connected and the Casio Smart Outdoor. These three devices should all receive the update by 4 April. And we've now got word from Google that a further batch of six models - the Polar M600, Nixon's The Mission, the Fossil Q Wander and Q Marshal, and the Michael Kors Access duo - are now all-set to receive the update. Keep your eye out for a notification yourself although, on a couple of watches we've tested it on we've managed to force through the update using the settings menu (as with the Q Founder pictured up top). The download took over an hour, so make sure you've got plenty of spare time. Once it is done, you'll have the option to copy over your Google accounts so that you can use Android Pay, and you'll be treated to an Android Wear 2.0 tutorial. Have you received your Android Wear 2.0 update yet? Let us know using the comments below.